The Master’s degree in Linguistics has been running for over 30 years. 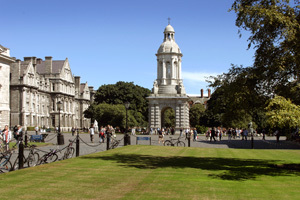 Our students -- who are not expected to have any background in linguistics -- have in some cases come from language professions (such as translating, interpreting, teaching, speech and language therapy, publishing), or directly from undergraduate degrees which include language-centred elements (for example, English, modern languages and literature, anthropology, classics, psychology, sociology). In other cases, they have simply been people who are intrigued by language and wish to study it in a more systematic fashion. In general, the M.Phil. in Linguistics is likely to appeal to students with a talent for careful, systematic argument, and who wish to understand the mysteries of language. Read our Frequently Asked Questions on the M.Phil. in Linguistics and related M.Phil. programmes.